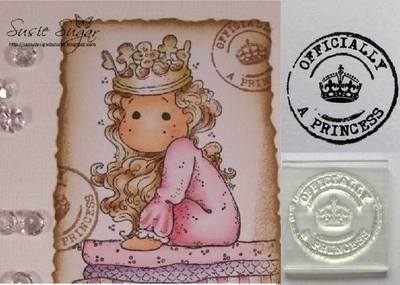 A postmark stamp (idea of the fab Susie Sugar) to decorate your card envelopes or to add a touch of vintage grunge to background papers, this has the text 'Officially a Princess' around the outside and a crown in the centre. 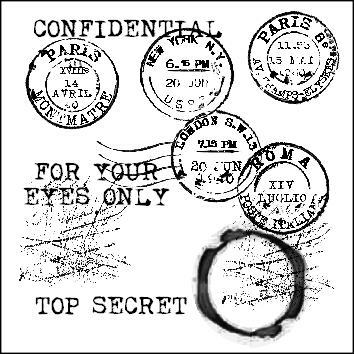 The stamp has a grungy circle with typewriter font text. The circle is 2.5cm. 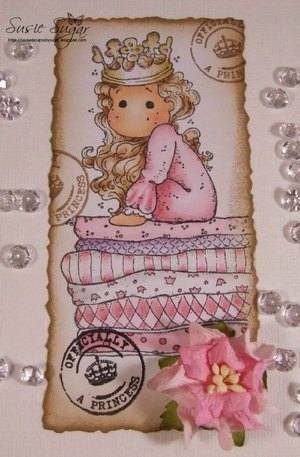 A wavy line stamp, which could be stamped either side of your postmarks is available separately.